It was a good news day when the FDA approved insurance agencies funding a suite of predictive cancer tests that may change the face of how we practice oncology. Interview published in the newsletter of The Canadian Horticulture Therapy Association, summer 2016. We thought we were just heading up to Royston’s Innisfree Farm for a nice Saturday lunch – who could resist a menu like the one posted above? 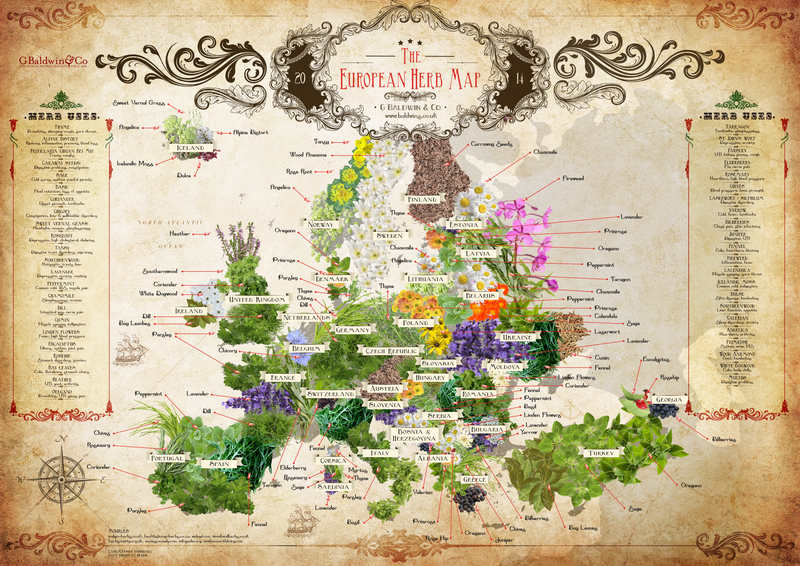 Thanks to Baldwins Herbs in London for this lovely herb map of Europe – truly a work of art and also quite useful.